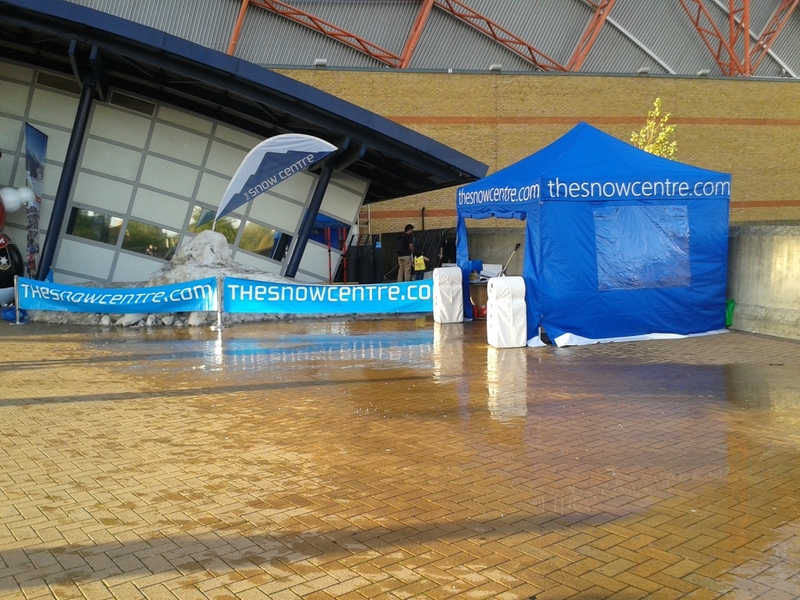 Last week the London Ski and Snowboard Show was held at Earls Court. 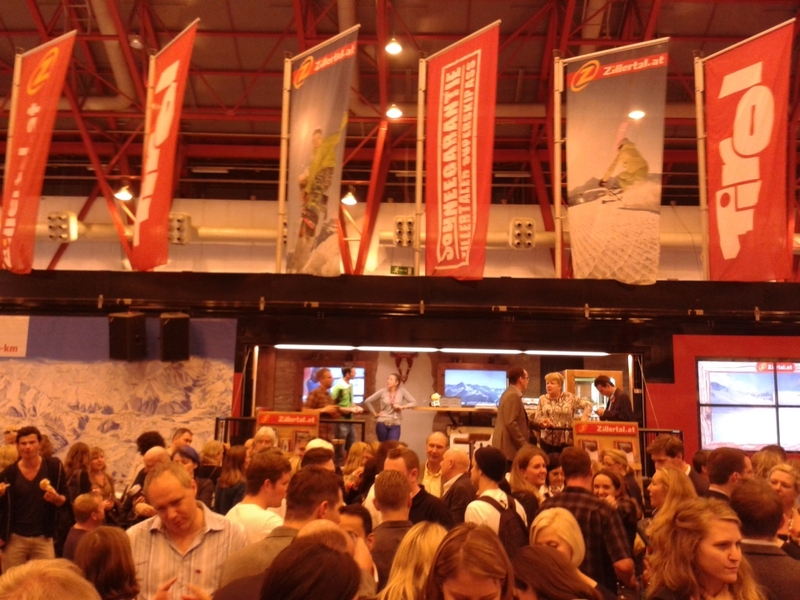 Normally we’d write up a ’23 Snippets from the Ski Show’ type of post, but in the wake of the World Snow Awards we thought we’d announce our own award winners, based on our observations last week. 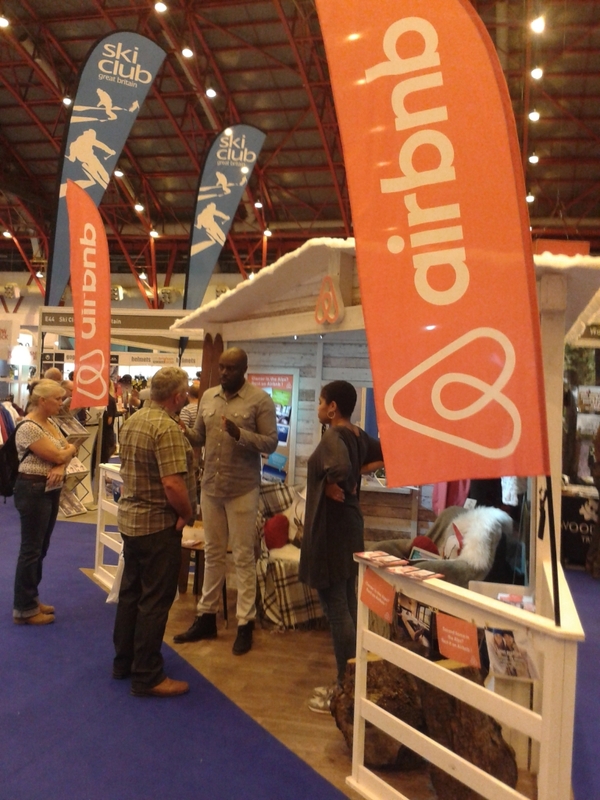 Biggest Newcomer to the Industry – AirbnbTheir stand was only small, but Airbnb mean business: the company intends to increase their current offering of 2,000 Alpine listings to 10,000 by the end of the season. According to Jean Gnamien, head of Business Development, demand for properties in the French Alps has doubled in the last year. 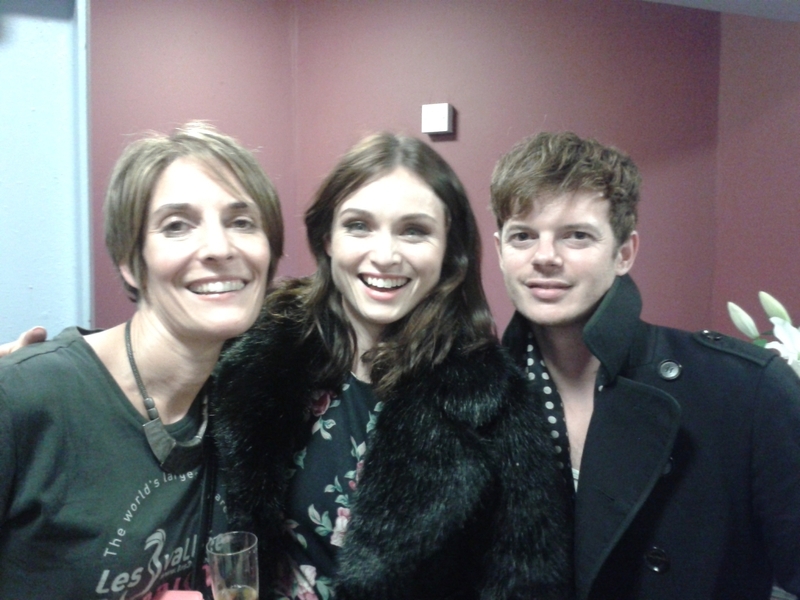 In the absence of Princess Eugenie (a visitor in 2013), this year Sophie Ellis Bextor wins ‘Best Celebrity’ for her and hubbie Richard Jones’ (bass player from The Feeling) appearance at the Les 3 Vallees ‘God Save The Snow’ party on Thursday night. 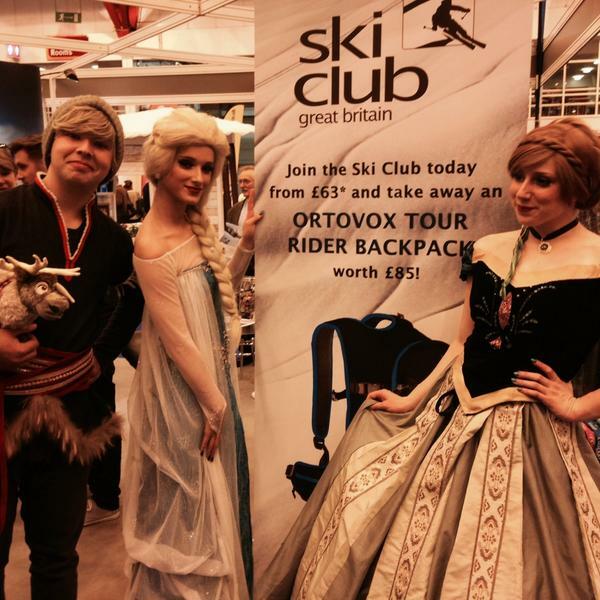 As I was on the door at the time (Skipedia helps Les 3 Vallees with this event), I had the opportunity to remind Ms Ellis-Bextor of the last time I ticked her off a guest list.That was in 2003, when she came along to Natives Ski Show party to watch hubbie-to-be Richard perform with Superfly (who later metamorphosed into ‘The Feeling’). 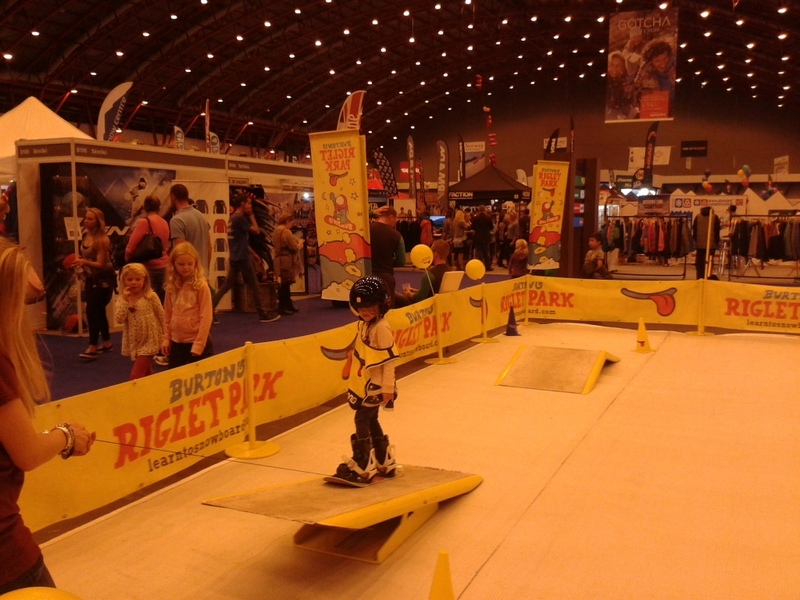 We loved this stand wrap by Halfpipe London. 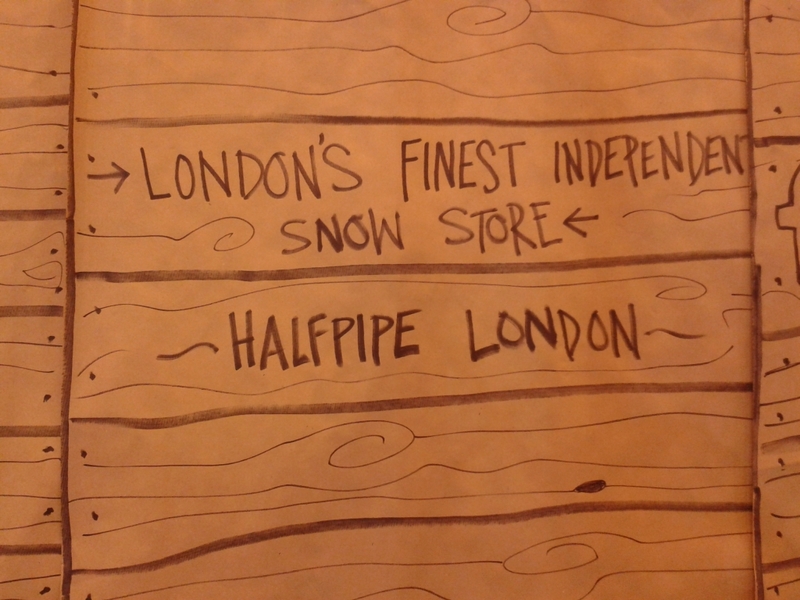 It was a simple design, drawn by hand onto packing paper, to create the impression of wooden panels, interspersed with their brand name and social channels. Cheap and very effective. 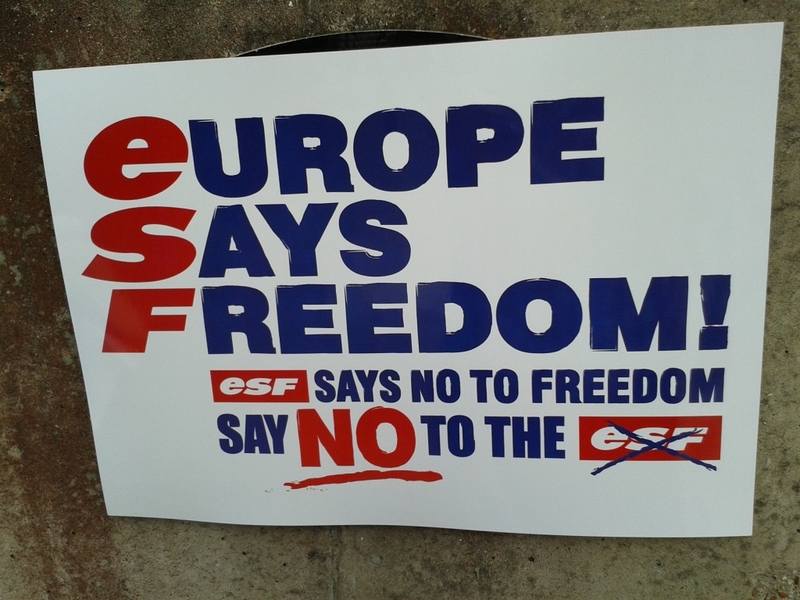 Thursday saw an anti-ESF protest outside the Show. We have written about this in more detail here, but regardless of the rights and wrongs of their literature it certainly made an impression. Inghams, Crystal and Erna Low all tried, Alpe d’Huez was close, but Tirol won this one by a distance (with extra points for the mini-burgers). 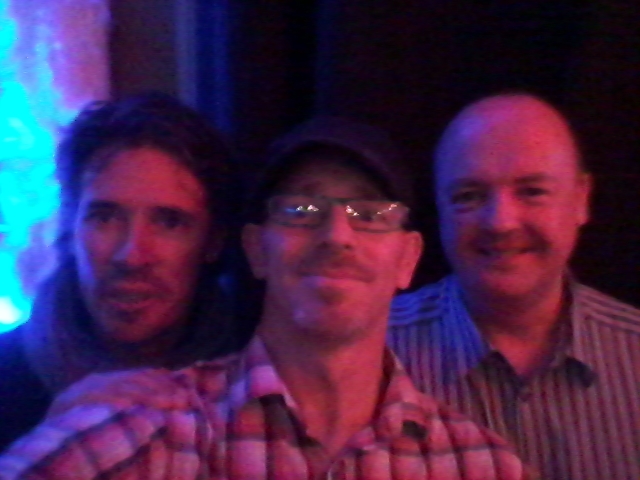 T Wall, owner of the Ski Lodge and La Taiga in La Tania is now a bona fide C-list celebrity (definition: “Aren’t you that bloke who was in that programme?”) following his appearance on ‘Gordon Ramsay’s Costa del Nightmares’. 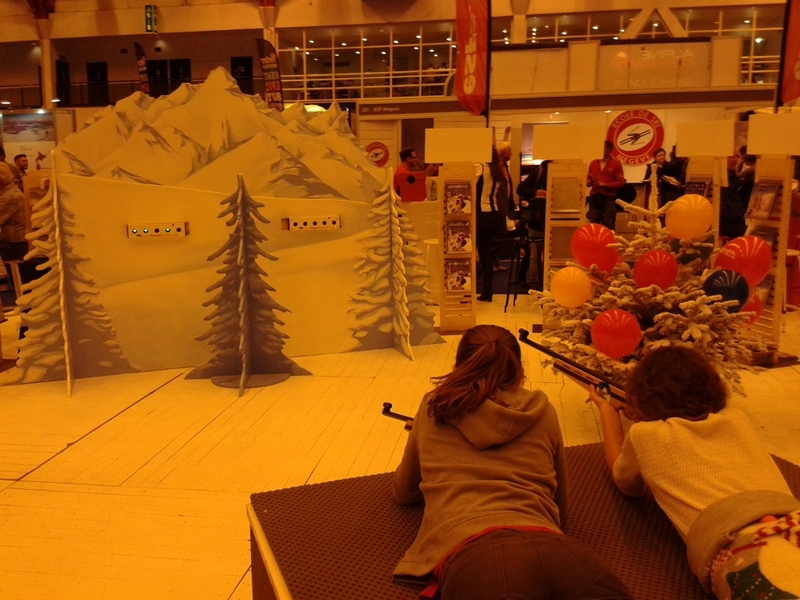 Okay, not a traditional biathlon – in that the ski section was slalom – but the chance to try a ski machine and shoot laser rifles was popular with the public. 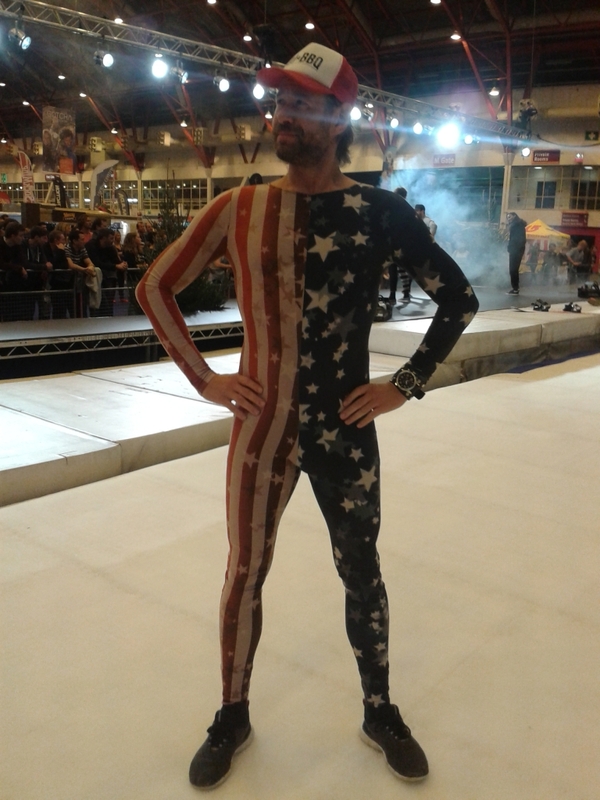 Best Use of a Container – Mountain WarehouseShell schemes are so 2013. 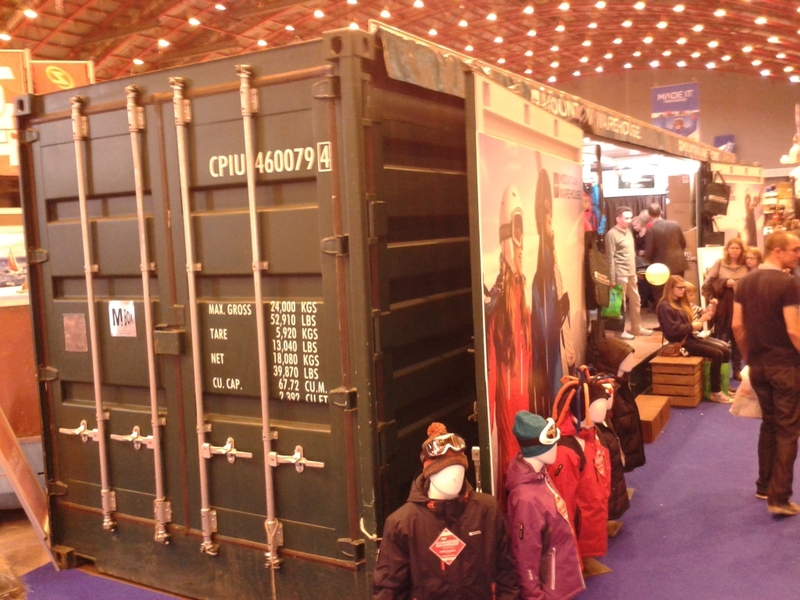 We loved this container from Mountain Warehouse. So simple to set up (as long as you’ve got a powerful fork lift). 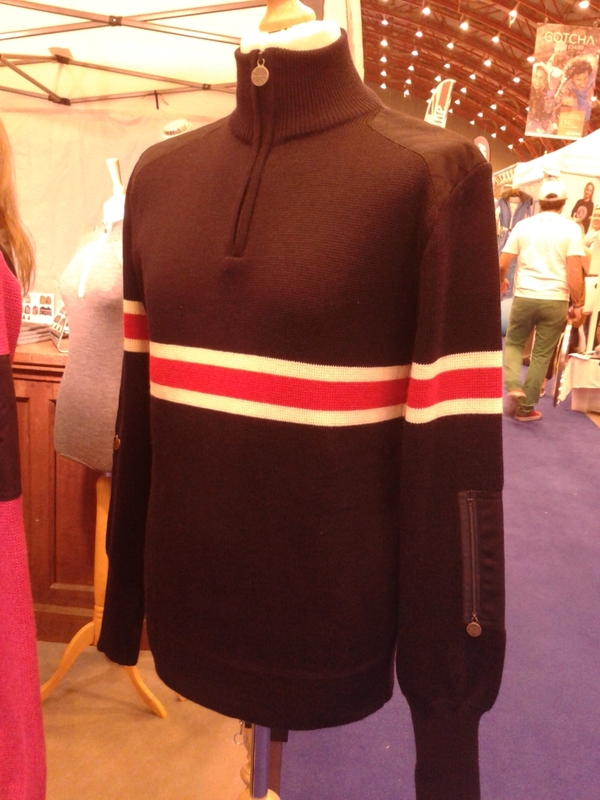 We absolutely loved this jumper from Snow Finel…until we saw the price. A snip at £255! If you don’t have young children, you may possibly be unaware of the phenomenon that is ‘Frozen’. 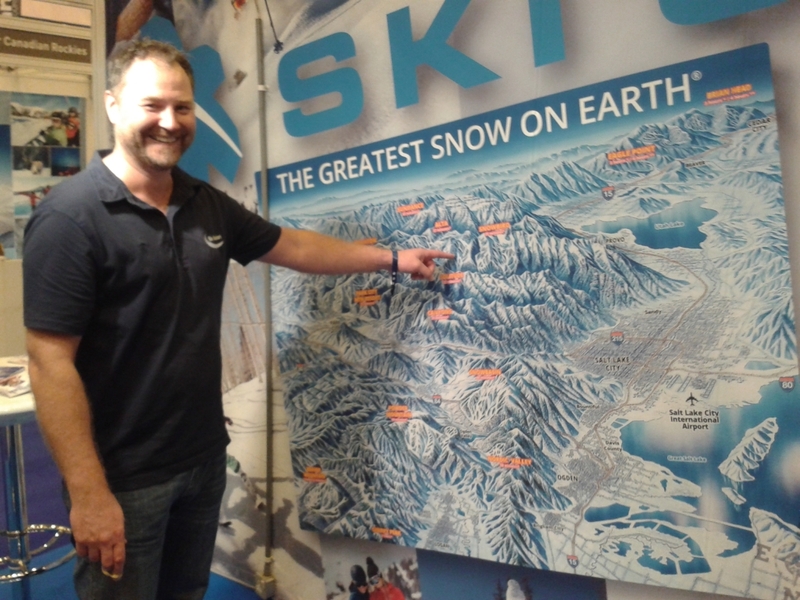 Best Pointing at a Map – James Rivers, Ski SafariJames Rivers from Ski Safari showed some top class pointing, while making us jealous that we’ve never skied in Utah. With Canyons and Park City joining next year to form the US’s largest ski area, and a possible ‘One Wasatch’ pass to come in the future, Utah is on the up. 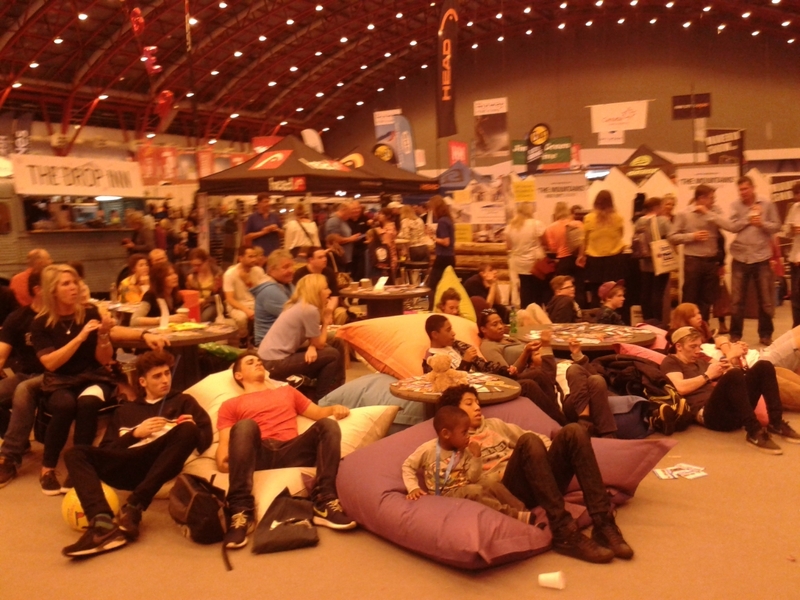 Most Comfy Location – The Drop InnTurn up, tune in and chill out. The Drop Inn was definitely the zone for the kids to hang out – a brilliant mix of funky retail, backcountry Q&As and live music.